In the World’s current social system, it seems that a comfortable government regime can only be maintained for a decade. That is perhaps why the present system of representative democracy is less than 5 years, so that one regime can maintain power and control for two terms. The same can be said in the 7 decades following independence in Sri Lanka. While it was not the case during J. R. Jayewardene’s rule, the years after that can be summed up as a black spot in a tragic history. Societies where leaders such as Gaddafi, Castro and Putin held and still hold control, are similar to that of being at the brink of a volcano. There are many examples of how such a rule has sent Nation’s plunging into decline and catastrophe. Libya, Iraq and Syria are tragic examples of what ignoring the unwritten golden rule of a decade-long regime can do. 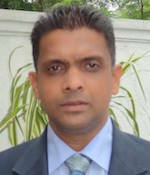 If Mahinda Rajapaksa won a third term, by this time, due to the terms imposed on Sri Lanka by the United Nations Human Rights Council (UNHRC), there would have been absolute chaos and confusion within the country, and government forces and the civilians’ would have fallen – once more – into a state of civil war. In this situation, indifferent youth would have been fighting for essentials such as fuel, food and drink. On January 8th, when this government came to power, we already know that Sri Lanka’s economy had become a confused mess. The cost of living was at an unbearable high, democratic institutions were eroding, and the rule of law and the judiciary was under the iron boot of the controlling regime. The people themselves were so distressed by the situation, that their silence was palpable. During the exhibition development carried out during the previous regime, one part of the country was suffering as though in the depths of hell, whilst the other mature and knowledgeable portion of the nation had an unfortunate understanding about their fate forming around them. The Hambantota port, airport, theatre and international cricket ground are nothing short of wasted resources and messy loan-traps. The central priority of the current regime is to undo the dept-trap the previous regime plunged Sri Lanka into. In this regard, the Prime Minister has suggested many economic strategies, laws and regulations. Under this situation, the Rajapaksa regime were to be found declaring their ability to secure power instantaneously to their followers, thus engaging in improper political conduct. This is quite amazing if you were to think about it. It is a historical mistake that the Rajapaksa’s, instead of correcting their past mistakes, have instead partnered up with the same old thieves, murderers and criminals, in order to begin a new power grab. Frequencies used by the Sri Lankan electronic media organizations are the inherent property of the public, and have been obtained on a temporary basis after paying taxes. These organizations further obtain large amounts of advertising from government agencies in order to secure these frequencies and ensure the maintenance of their organizations. Similarly, due to the current trend in Sri Lanka’s electronic frequencies, it is not uncommon to hear people hurling allegations towards the government, asking them to leave. Anyone watching the evening newscast would think that the government is likely to collapse the next day. However, while they promote a anti-government opinion, there is a difference between blaming, criticizing and opposing the government. There is one matter which the electronic media opposing the government should remember. Regardless of the laws in the country, these media institutions exist because of the advertisements amounting to billions of rupees from the government. This is just the revenue from one government organization. The Government, through many such agencies, place a vast number of government advertisements. If the electronic media organizations continue to disrupt government processes, the best course of action would be to stop these ads as soon as possible. Can the Rajapaksa’s regain power once more, even after a ten-year rule? My assessment is that they cannot be re-elected. The charismatic and popular leader of that movement, after his 10 years in power, is now 81 years old. As for Gotabaya Rajapaksa, Sri Lanka’s civil intellectuals and opinion makers are violently opposed to him, and Basil is so corrupt that he laughs behind the backs of those who support him. Namal Rajapaksa on the other hand, instead of evolving into a contemporary leader of the country even after ten years, has instead evolved into an immature and abusive leader. 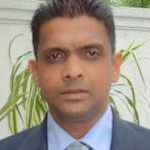 My conclusion is that after the UNP’s decade concludes, the next SLFP leader – still on a journey – can be expected to come into the limelight by 2020. And after 2020, hopefully, Sri Lanka will be a Nation where a healthy dual party system exists without the need for a common candidate.